I’m excited that Threadless has chosen to include in their collection the shirt I designed with my daughter Jill as part of my 52 Shirts project. Team Rainbow Unicorn is one of the cutest things I’ve ever designed, and if I’m honest, it's all because of my 10-year-old Jilly. 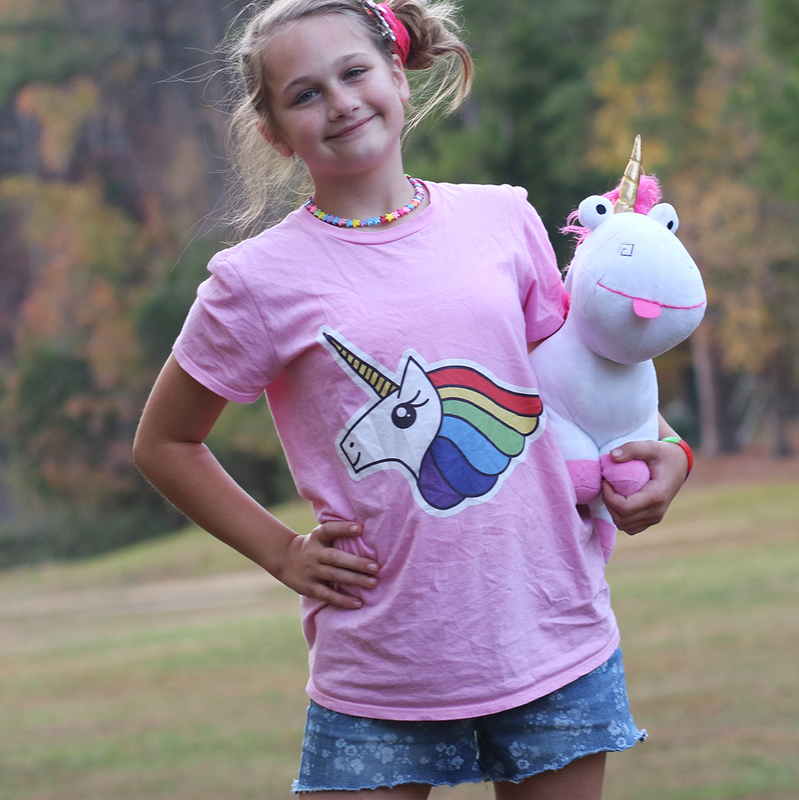 She loves unicorns and when we gathered around the dining room table to create this shirt, she had some very strong opinions about what the unicorn should look like — especially the eyes. We sketched eyes in "kawaii" style, working on the perfect placement of the highlights and the eyelashes. The eyes make the design, and that was all from Jill. You can purchase Team Rainbow Unicorn from Threadless. And they are offering more than just the shirt. You can get the design on mugs, bags, throw pillows, wall art and more. Check it out at Threadless and join Team Rainbow Unicorn.